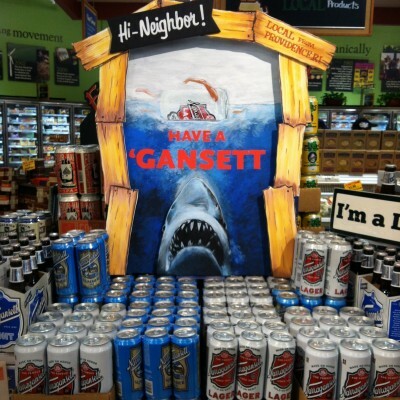 Get ready for Discovery Channel’s Shark Week with ‘Gansett! The fun starts this Sunday night, so stock up on ‘Gansett to enjoy all the shows with. Whole Foods Bishops Corner is getting in on the fun. Check out the display Syd Saynganthone helped make. IN CELEBRATION OF SHARK WEEK Chunky’s Cinema Pub is showing a 3 DAY BIG SCREEN VIEWING PARTY OF JAWS! On August 6th, 7th and 8th each location will be showing JAWS on the Big Screen at 7:30pm each night! 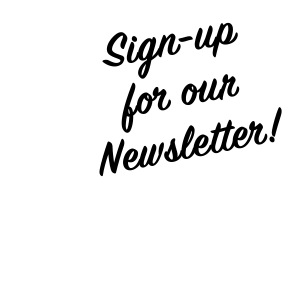 Admission is only $3.00 & can be purchased online today! 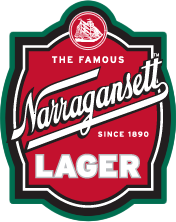 Sponsored by Narragansett Beer, our 1975 throwback cans just like in the movie! Crush it like Quint! Tickets are sold online via WILL-CALL ONLY. The night of the event, simply arrive as you normally would. We will need the last name and ID of the person who purchased tickets & we will give you the tickets to the event in an envelope. Click here to purchase your tickets today on Chunky’s site. Enjoy the show.